Sauna Kolo is a small pop-up sauna representing a modern take on the traditional Finnish sauna. 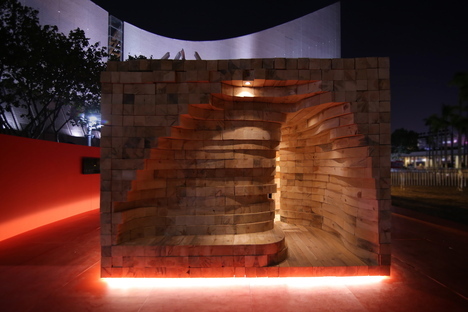 The project was completed by Avanto Architects, Finland, with the architect Hiroko Mori during last autumn's Hong Kong Design Week. Saunas play a huge role in the culture of Finland, which celebrated the centenary of its independence in 2017. A great opportunity to spread the word about Finland abroad too, for example during Hong Kong Design Week, as part of the cross-board exhibition called “Hot Is Cool”. 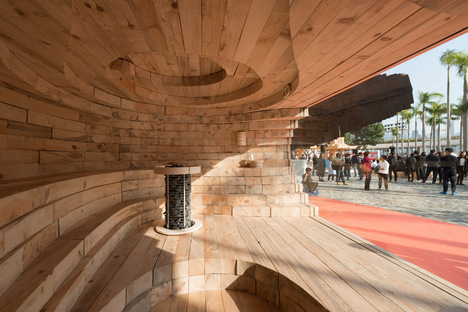 Ville Hara and Anu Puustinen from Avanto Architects created a small pop-sauna based on an idea of Adrian Cheng, founder of the Culture for Tomorrow charitable institution, in collaboration with the architect Hiroko Mori. 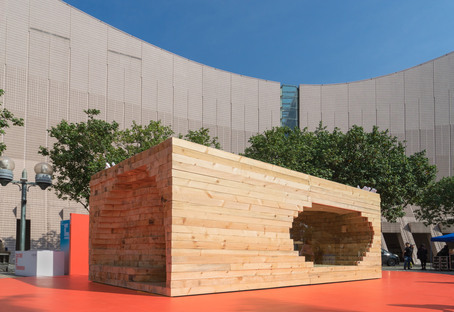 It was located at the Tsim Sha Tsui Cultural Center right in the city centre as a highlight and part of the official Suomi100 programme of Finnish celebrations. 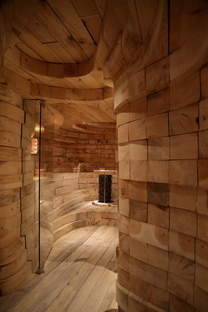 Kolo is Finnish for “cavity” and, indeed, the sauna is really no more than a series of cavities - a shower and the actual sauna room to soak up the heat created inside a structure of solid timber logs. 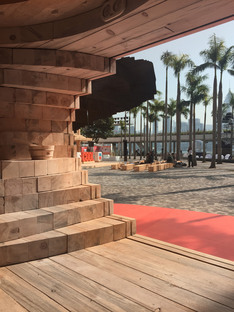 This material isn't particularly common in the tradition of contemporary Chinese buildings, as the designers found out after some initial misunderstandings relating to the thickness of the wood to use - 150 x 150 mm. 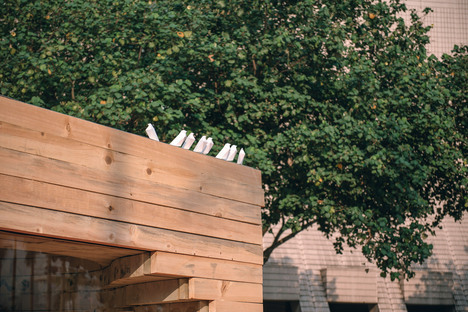 The structure of Sauna Kolo is as simple as it is effective because the logs were just stacked up then joined together with wooden pegs to ensure that the project could be dismantled, creating a free form that even includes a bench seat. 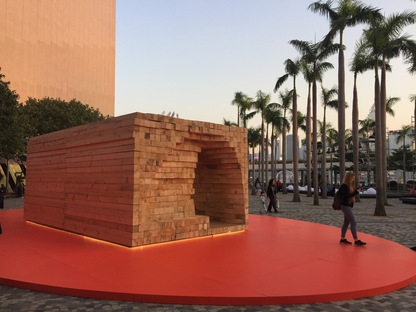 So, smack in the centre of Hong Kong, one of the busiest cities in the world, a small oasis of peace underscored by the strong material nature of the wood gave locals some precious moments for relaxation. Access to the sauna was limited to 10 minutes so as many people as possible could use it, and it was hugely popular with the Chinese public.